The Bruce Peninsula real estate, Georgian Bay and Lake Huron areas real estate market offers our cottage and home buyers more than 500 miles of shoreline, with white sand beaches and limestone cliffs. Our area boasts a wide variety of outdoor activities, hidden coves with a sandy beach, a tiny village hugging limestone cliffs, a quiet wooded trail or a quaint bustling towns. 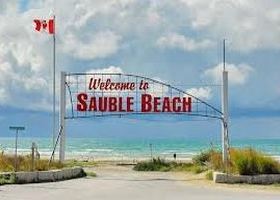 Sauble Beach Community is more vibrant than ever! There is always something exciting to do or to see! Take a relaxing stroll on the beach, browse the downtown shops and merchants, attend an outdoor Sauble Beach Chamber event or enjoy one of our festivals. Explore and hike at Sauble Falls, take a community class, or just hanging out and enjoying Sauble's amazing beach community feel. It's the people here that make our area so very special. This is a place to love, live, work, play, cottage and most importantly...call home. "Houses form a neighborhood...but only people can make it a community." Community is an essential part of family, lifestyle and real estate. The entire Bruce Peninsula, this beautiful region of Ontario's cottage country boasts so much to do! 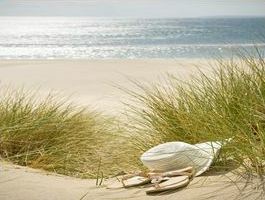 Enjoy summer with a wide variety of outdoor activities, hide away in a hidden cove with a sandy beach. Search a tiny village hugging limestone cliffs, walk a quiet wooded trail or discover the pleasures of our quaint but bustling towns. Let me help you find your dream home or cottage! When it comes to Buying and Selling real estate understanding the local market conditions is so important. This page covering the Bruce Peninsula real estate and Bruce Peninsula cottages for Sale covers the areas Tobermory, Lion's Head, Wiarton, Sauble Beach, Dyer's Bay, Georgian Bay and Lake Huron Waterfront.